I’ve been admiring illustrator Stacey Yacula’s designs on fabric and illustration for a while now, so when MFT starting carrying a line of stamps illustrated by her, I was so delighted! Plus, she’s a Canadian and that makes me happy too! She has this sweet and whimsical way of drawing that is so lovely. 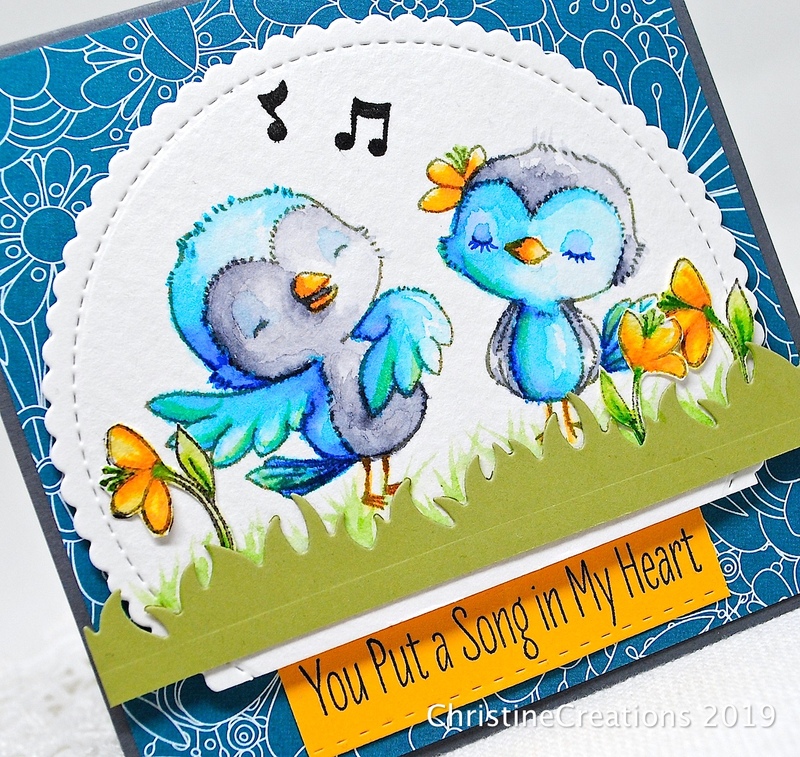 I picked up Tweet Friends recently, and loosely watercolored this cute little pair of birds into a 4 1/4 x 4 1/4 inch card. 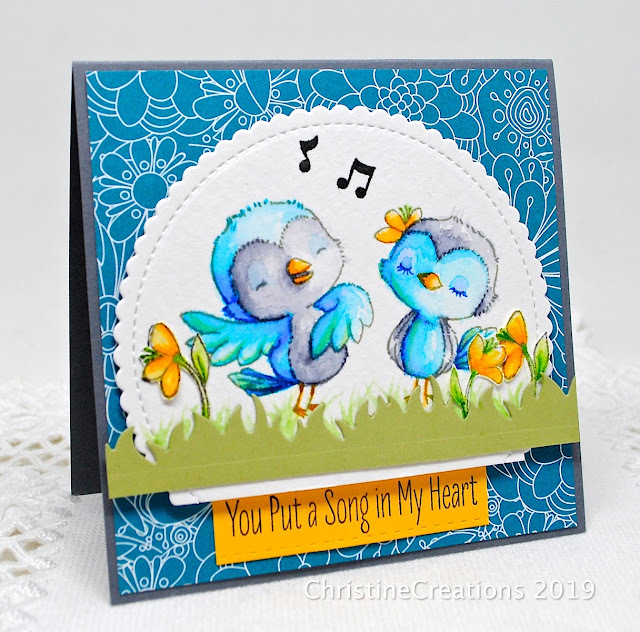 I used my Zig Clean Color Brush Markers to watercolor, then paired them with MFT’s Bundle of Blossoms Designer Paper and cut out the image with MFT’s Stitched Mini Scallops Circle STAX dies. I added that cute row of grass with a CutUps die from TCP. After all the help and care we’ve received in the past six weeks while my husband was so sick, and as he continues to recover, I have a lot of people that I could give this card to, so I see a lot more thank-you cards to be made in the future. We are so grateful for good and loving friends! Christine, what an adorable card! As always, LOVE yr coloring. Glad to hear yr husband is recovering. That was a long haul! Please give him hugs from all of us who think you are an amazing person and who you bring joy to with your art. These birds are truly adorable and I LOVE the look of your watercoloring. What a perfectly sweet way to say thank you! I had not heard of her, but oh my are those two just adorable and I so love the way you have water colored them. So wonderful that you have so many people that are there for you when you need them!